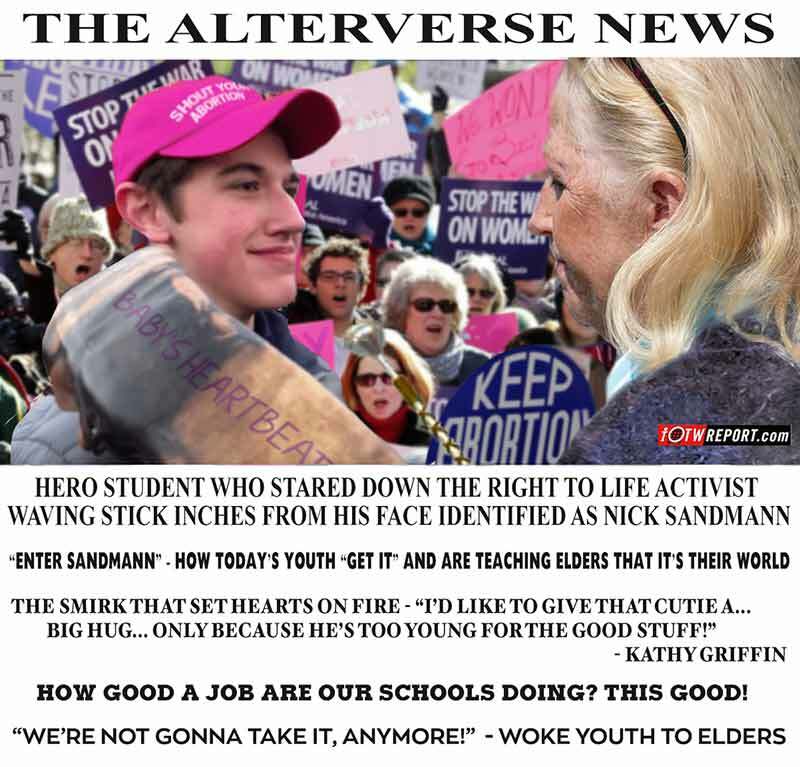 You know, sure as $hit, that this is the way it would have gone down if Nick Sandmann held a different point of view. Probably would be Beto’s running mate 2024. Does that mean we get to share a room? If Beto and AOC can form a supergroup ticket, the hot war can finally get underway. And SNL writer Sarah Bettie and others say BJ’s around for anyone who slaps her. The left is sick. What gives this away as a ‘shop is that if were a *real* Lefty agitprop they would have colorized some of those people in the background crowd. the socialist marxists are so incensed about this issue because, no matter what, they cannot have any sort of rebellion from children. they don’t really care about the older generations; they continually remind us that we will be dead sooner than the millenials or Gen Z, & they have already been indoctrinated into the herd. socialism demands no descension. yet these kids ‘rebelled’ against their orthodoxy. this cannot stand! btw, this kid (who was correct in his every action) is guilty of face-crime. @Molon Labe – stealing and sharing that quote! I am hereby triggered by toxic feminism.